The Tampa Bay Automobile Museum in Florida is a first-rate collection of primarily European cars that represents the passion of French-born mechanical engineer Alain Cerf. It includes many obscure brands that introduced leading-edge technology, with a focus on front-wheel-drive vehicles and the engineers who created them. There are six cars from the Czechoslovakian maker Tatra, including a 1936 Tatra T26-30, of which only 181 were produced, and a 1938 Tatra T97. Practically a VW Beetle clone, production of the T97 was stopped by the Germans after they invaded Czechoslovakia; only 510 rolled off the assembly line. The rear-engine 1942 Tatra T87, with its distinctive centered tail fin, was so unstable to drive that during the war German officers were forbidden to drive them due to the high number of fatal accidents. French automakers are also well-represented with a 1933 Derby V8 (only 11 produced) and a bizarre cracked-egg-shaped 1946 Mathis VL 333. Unveiled to the public in 1946, the car is the only survivor of less than a dozen that were built secretly by the French during World War II. Rare vehicles from this side of the Atlantic include a 1929 Ruxton prototype. This competitor to the Cord was the first attempt at front-wheel drive in the United States. Its unusual cat’s-eye headlights never caught on with the public. Moving up a few decades, there’s a 1966 Oldsmobile Toronado, which was the first American attempt at front-wheel drive since the ’37 Cord. A full-time, in-house mechanic ensures that all the vehicles are up and running. 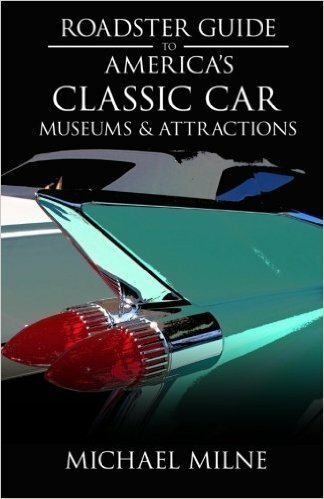 Number of vehicles: 65 Highlights: 1929 Ford Model A with a working Gas-O-Gen system to produce its own hydrogen; 1929 Tracta A race car that won the 1930 LeMans in the 2-liter class; 1965 Ford Mustang with All-Wheel Drive. You read that right; this one-off was sent to the UK to be fitted with AWD and disc brakes. Admission: $ Hours: Monday & Wednesday through Saturday, 10 a.m. to 4 p.m.; Sunday, noon to 4 p.m. Note: Closed Tuesday.